Magnum headquarters is conveniently located 20 minutes from both Ft. Lauderdale International Airport and Miami International Airport. Our strategic location grants us the flexibility to provide our customers quality service and to ship anywhere around the world. Our 30,000 sq. 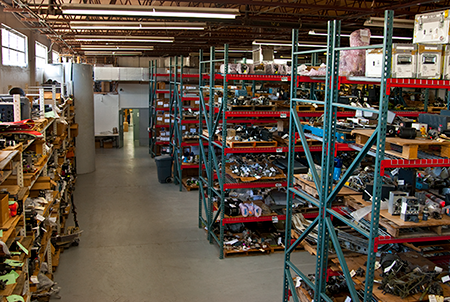 ft. facility has housed over dozens of teardowns allowing us to stock large amounts of inventory that is readily available to meet your every business need. Magnum carries a wide array of quality parts ranging from landing gears, wheels & brakes, hydraulic components, pneumatics, actuators, windows & doors, waste systems, to avionic instruments, and aircraft accessories. Our climate-controlled facility maintains inventory in an air-conditioned environment that is ideal for storing and preserving our unit’s integrity. 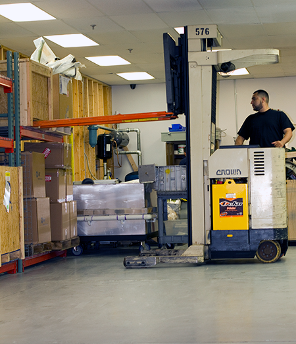 With our experienced team, Magnum has the ability to handle shipments via common carrier and even meet your urgent needs via counter-to-counter delivery methods.